Paul Corfield is a UK based artist. 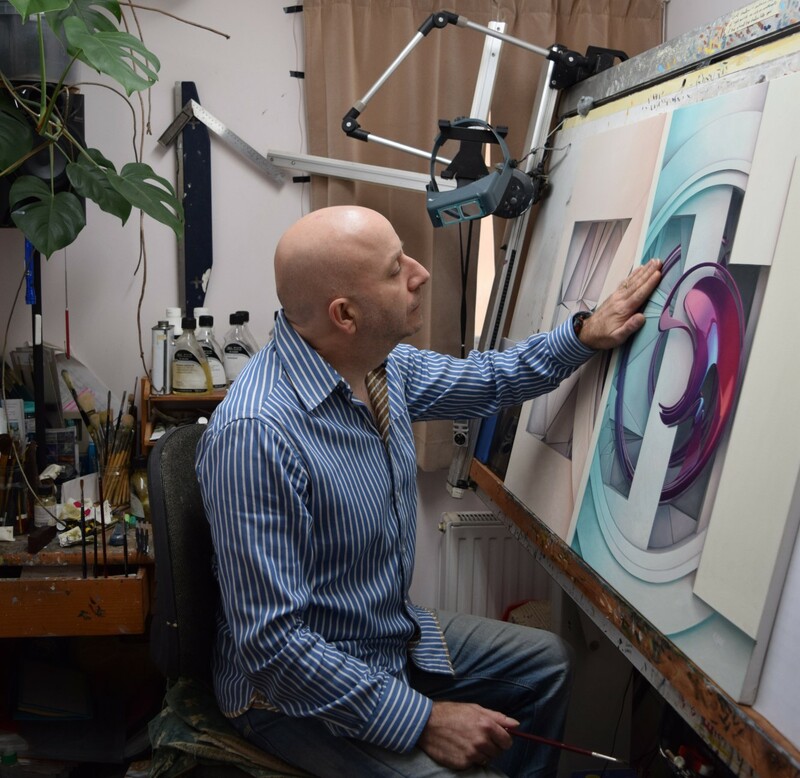 His artistic career is really uncommon: he started with traditional photorealistic artworks, then he develops his own style in a very original idea called “Pseudorealism“. 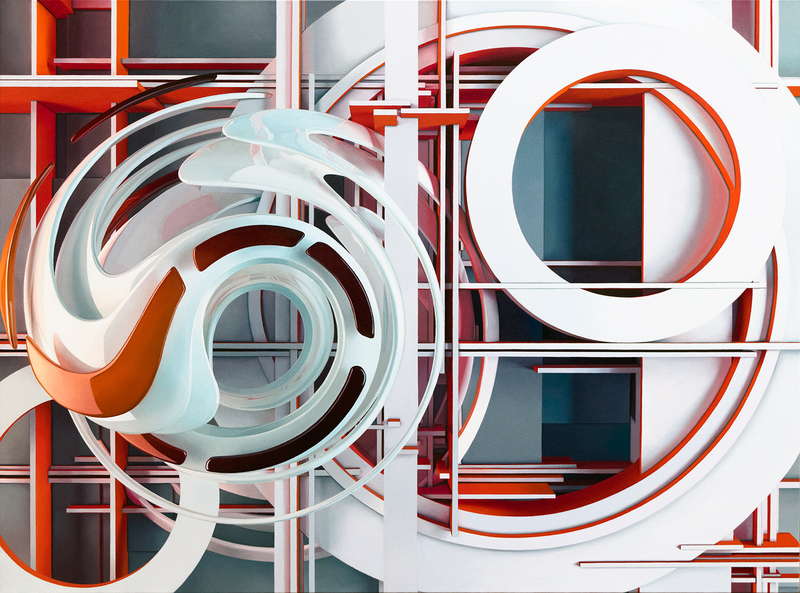 Corfield’s paintings are the result of an ongoing experiment in computational design, he creates complex subjects with geometric shapes inspired to the modern conceptual architectural design and modern sculpture. 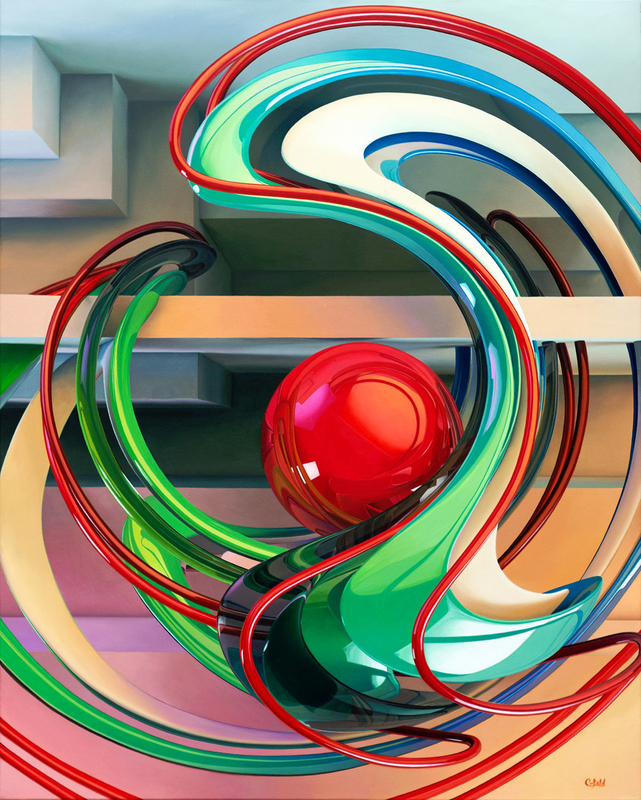 He also mixes together his extraordinary hyperrealistic painting technique with these abstract concepts, giving birth to something never seen, completely new and outstanding. Looking at your last series, it’s clear that you use an incredible hyperrealistic technique combined with an abstract concept. We could tell that you bring two opposites together in your painting. What’s the meaning and from what it comes this idea? All my life I’ve naturally drawn or painted in a realistic way but the abstract style came much later. My Grandad drew me a small picture of a boat when I was only maybe 5 or 6 years old. I remember it looked so real and I was instantly hooked that he made this quick scribble look so good. From then on I wanted to be an artist and realism was always at my core. From that early age I drew and painted real subjects from life or from photographs right up until around 1998. I got my first PC computer around 1994 and my first 3D modelling software a few years later. The 3D modelling was just a hobby and I never used it for hyperrealism artworks until the early 2000’s and that was when my abstract style naturally started to develop. 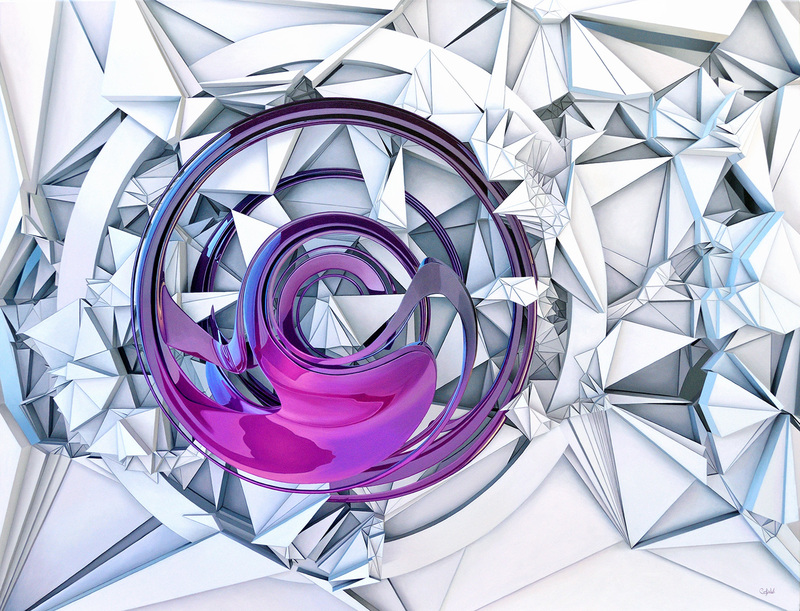 Because the software can make anything look real, then you can explore any artistic style that you choose. Right from the very start I have experimented with simple shapes and worked on ways to manipulate them into ideas for paintings. Besides the shapes, I’m very interested in ways to manipulate colour, light and shadow. I try to bring all of those elements together into an interesting composition and also something that appears to be real. In the computer there’s a whole load of number crunching, mathematical formulas, simulations and out of all of that these arrangements gradually take shape. It takes days, sometimes weeks to build the system that will start to generate the designs and from then on it’s all about the fine tuning. Very soon after I created my first few abstract hyperrealism paintings I joined Plus One Gallery in London and then a year later I also joined the Russeck Gallery in San Francisco. That’s what I call stage 1 of my abstract development as it wasn’t long after joining those two galleries that my wife became disabled. I decided it was best to leave and concentrate on being her full time carer and at the same time I had to seek regular income because she could no longer work. Around 8 or 9 years passed before I could get back to painting and carry on developing my hyperrealism and abstract ideas. Things had moved on a lot in that time, I had to spend 18 months learning new software packages but in some ways it had been good for my development. I feel my ideas now are much stronger than they were before, the new software has allowed me to do so much more and that really brings us up to the present day. I’m gradually building up a collection of work and soon I will begin looking for a gallery to once again represent me.